Just as there are advancements made in the field of massage therapy as it concerns massage techniques, strategies, treatment protocols, and legal issues, there will also be changes to how massage therapists can use social media to market their business. Whether you are a solo practitioner or work with others in an office or spa, incorporating a social media marketing strategy into your marketing efforts is important for the life of your business. Before computers we had to make appointments with paper and pencil on a physical calendar over the phone. Now, clients can go online and book appointments for themselves. Setmore and Schedulista have online scheduling programs specifically for massage therapists. Both of these services allow you to connect your online schedule to your Facebook business page, so clients can visit you on Facebook and book their appointment straight from there! And you can view your schedule right from your smart phone. Now that is convenient. This new advancement in technology has changed client behavior. Are you making the most out of your Facebook page? In an earlier blog post, I mentioned that according to a 2012 AMTA survey, over 80% of massage therapists are on Facebook, but only 36% used social media to stay in touch with clients. Here is a great opportunity to be different from the competition, set yourself apart from the rest. Your clients are out there on social media, you should be too. A whopping 97% of consumers now use online media when researching local products or services. If you don’t have a social media marketing strategy, get one. Feel free to email me is you have any questions on how to go about doing this. It will be important, as you move forward with social media marketing, to keep an eye on the technological advancements that occur. Look at what your business needs and find a tool that provides that service. Who would have thought ten years ago that there would be a service like Zeel. Zeel is a Massage On-Demand app (free) for a smart phone. Clients download the Zeel app and can book same-day, in-home massages with licensed and vetted therapists. Therapists signup and join the Zeel network of therapists. Currently Zeel is only available in NYC, Long Island, the Hamptons, Los Angeles, San Francisco and Miami areas, but it is growing fast. This change in consumer behavior created the need for new technology. Are you keeping up? 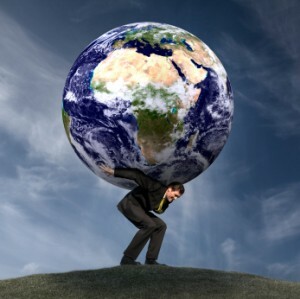 As technology continues to change and improve, this will impact our behavior and how we do things, including simple things like making appointments, these changes in our client’s world, demand that massage therapists keep up to date so we are in the best position to reach our clients with our marketing efforts. If you are not reaching your goals with your business, it’s time to adjust your actions. Stevenson, R., (2014). Adjust vs. Change. Retrieved 11/5/14 from http://seekingexcellence.wordpress.com/2014/08/26/adjust-vs-change/. 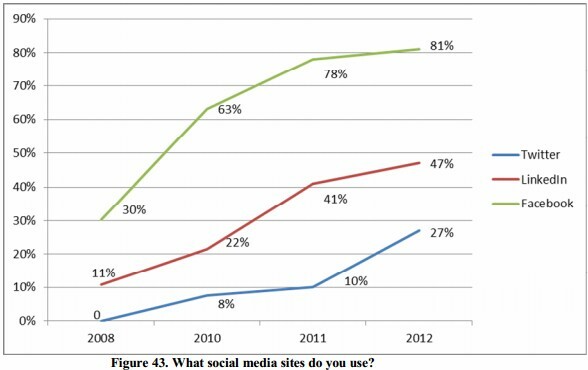 Image 1 – from http://www.business2community.com/small-business/7-vital-social-media-strategies-small-businesses-0807161. 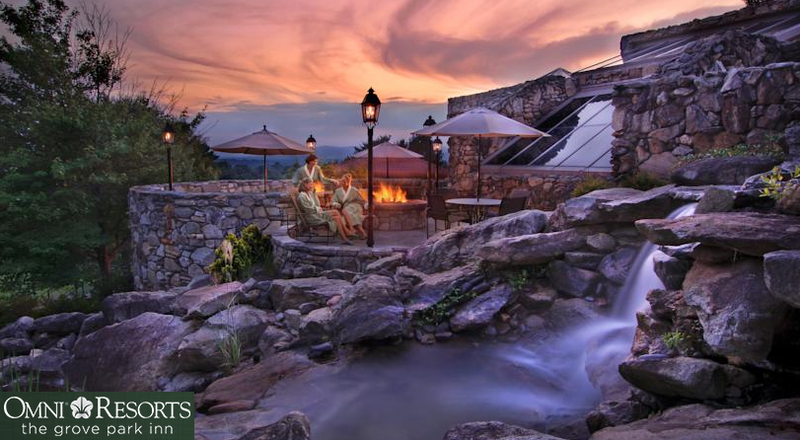 Let’s look at two well known spas Mirbeau Inn & Spa in Skaneateles, NY and Omni Resort Grove Park Inn in Ashville, NC and see how they each utilize social media. Situated on 12 acres in Skaneateles, NY, Mirbeau is a 34-room Spa Resort combining the amenities of a French country inn, a world-class spa and nationally acclaimed fine dining, all with the elegant comforts and residential feel of a wine country estate. The Inn and Spa buildings are clustered around sumptuous Monet pond gardens. The exterior architecture, interior décor and landscape design are reminiscent of a Provencal French Country Estate. 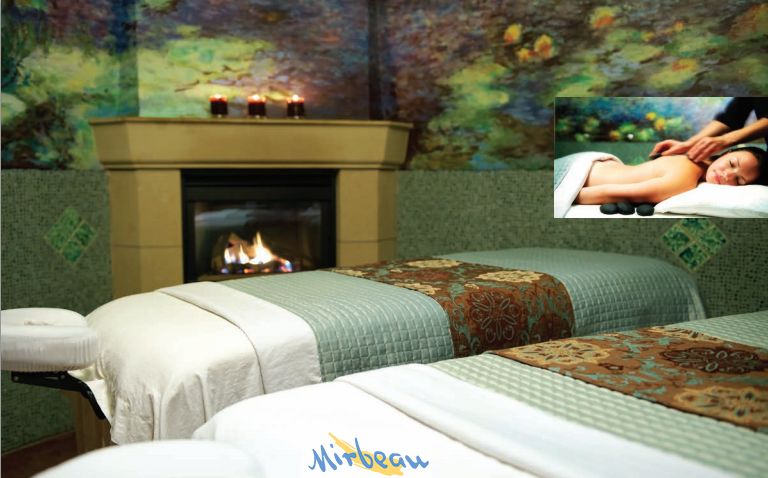 Our 14,000 sq ft Spa Mirbeau is designed to offer a protected place of elegance and comfort. 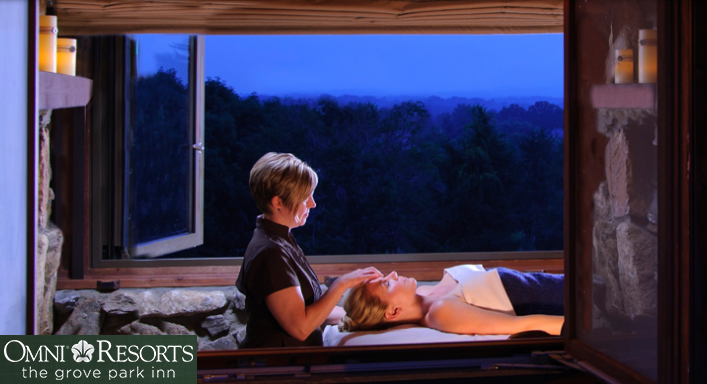 Equipped with state-of-the-art facilities and staffed with highly experienced professionals, Spa Mirbeau is one of the top spas in the country with numerous national accolades and awards. 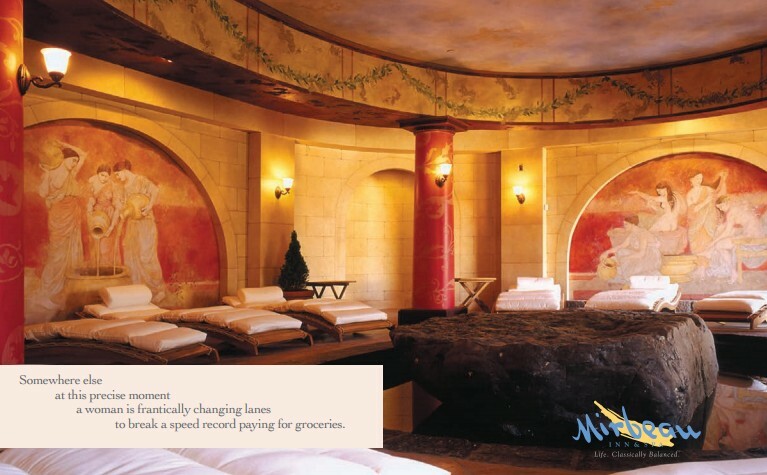 Our 43,000-square-foot subterranean spa features cavernous rock walls, arches, tunnels and 20 water features. The main pool area features two therapeutic waterfall pools, a warm mineral pool and lap pool with 6,500 fiber-optic stars embedded in the ceiling and constant underwater music. Three fireside lounges await you with overstuffed chairs, warm blankets, light snacks, hot organic teas and herbal infused waters. And step outside to enjoy fireplaces, whirlpool, and a tiered outdoor terrace with panoramic mountain views. Both of these resorts are stunning, but how well do they utilize social media to enhance their efforts? SM Platforms listed on their website Twitter, Facebook, Pinterest, Instagram. Facebook, Twitter, YouTube, Trip Advisor, Google +, Pinterest. What does their social media accounts look like? Both resorts utilize lost of pictures and videos. They both promote the resort and its various aspects (food, rooms, event hosting, weddings, etc.) and charm of the local area. 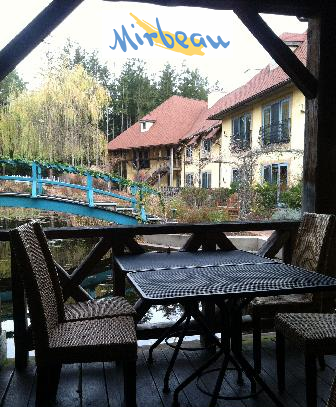 Mirbeau highlights its Provencal French Country Estate feel. Grove Park highlights various aspects. Fans Fans are less engaged more apt to click “like”, rather than comment. Fans are much more engaged. They are more apt to make comments on various posts. How they utilize social media They are pushing advertisements. They have multiple deals & sales promoted at the same time. There is minimal customer engagement, just shouting which make it almost seem like begging. When they post, they connect the resort to money. They do also post specials and deals they are promoting, but it doesn’t come across as pushy. They incorporate a lot more informational posts about the resort history and area. They connect the resort to emotions of potential visitors. 37 – 22 (59%) included rates for services or deals. 6 posts were advertisements for the spa. While it does look a nice view…I’m already thinking about how much it’s going to cost me. 22 – Two of these posts (9%) included rates for services for deals. Only 1 was for was for the spa. The remaining posts were informational, historical, interesting and appealed emotionally to viewers. For example: They posted – “Absolutely #stunning day to relax on our terrace and watch the world go by.” And posted a picture from their terrace. <sigh> It does look amazing and very relaxing and I want to go. I don’t care how much it costs, I want to go. Successes? Both resorts have been active on SM since 2008, however Grove Park has managed to attract 5x the following on Facebook and with half as many tweets on Twitter, Grove Park has gathered 3x the number of Twitter followers. What’s the difference? Grove Park is engaging their fans. Cultivating a relationship. On Twitter they are listening. If they see a tweet saying what a great job they have done by a recent guest, rather than just retweeting it as Mirbeau might do, Grove Park tweets a thank you to that person. Mirbeau selling and yelling, asking people to spend money. Grove Park Inn is connecting and engaging, asking people to feel emotions. 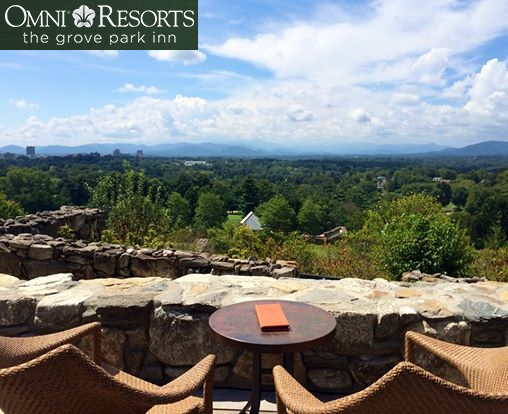 Recommendation Grove Park Inn will serve you better all around. To be or not to be…social, that is the question. Should you take your business into the realm of social media? This is the age of social media. You need to be where the clients are and they are on social media. Think of social media like a party. You’re invited, but you don’t know everyone that’s going to be there. You’re invited, but you don’t know everyone that’s going to be there. You may be able to get a friend to give you a ride to the party. Get someone to help you get a social media account setup. Start with just one. 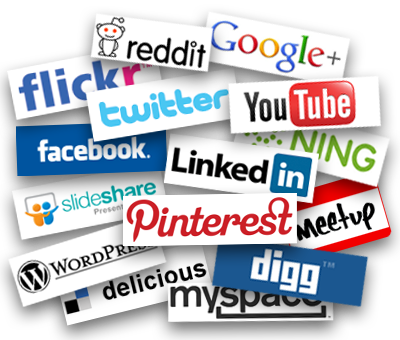 You are only at one party at a time, start with just one social media platform at a time. Your friend introduces you to some of their friends. Find a friend on social media and look at their friend lists. You stand around in a group and everyone is talking, but you. You’re Listening. Everyone on social media is making posts, but you. You’re Listening. Listening is a very good place to start with your social media presence. Victoria Edwards wrote a nice article about Why Social Media Listening is Important for Business. Listening gives you a chance to learn about this new group of people. Listening gives you a chance to learn about this new group of people. You make a comment when you find your opening. You make a comment when you find your opening. At this moment, the cute guy or girl notices you and asks “who are you again, and what do you do?” Your heart sinks and you gulp….thank goodness you’ve been practicing your elevator speech so you can recover quickly and still make a great first impression. At this moment, someone responds to your comment. This is your chance for further engagement and to show your knowledge. Depending on the engagement, an elevator speech might work well here too. Your friend smiles and leaves the group because you’ve got it all under control now. Your friend takes off, you’ve got it all under control now. You continue standing with that group as others come and go meeting new people all evening. You continue with that social media platform. meeting new people all evening. Social media can be addicting. So set some realistic time limits for yourself. Many times I’ll just pop into Twitter and the next thing I know it’s several hours later. Someone new comes into your group, let’s call him John, you introduce yourself and John says that they were just talking about you in the other room. You’re surfing your social media platform and find that someone posted something about you and your business. Turns out someone at the party recognized you and gave you a great compliment. John just had to meet you. Turns out someone visited your business and gave you a great review. You are now present to thank them graciously and be available and easier to contact for others to meet you and find your business. People will talk and are talking about you. Now, they do it on social media. Whether the information is good or bad, it is important for you to be aware and respond. Jayson DeMeers wrote a very helpful article on Huffington Post about How to Use Social Media Listening to Build Brand Loyalty. Your friend comes back and says it’s time to go home. Party’s breaking up. Your friend comes back and says it’s time to log off. You’ve just experienced the time warp of social media. Next weekend, your friend takes you to a different party. You sign up for a different social media account. Some people at this party recognize you from the party from last weekend and you feel comfortable starting the evening off catching up with them. Some of the friends from the first social network are also on the new one. Find them first to get the hang of the new platform. Having fun and socialize! Having fun and socialize! Before long you will be the life of the party! And be the one bringing new people to the party. 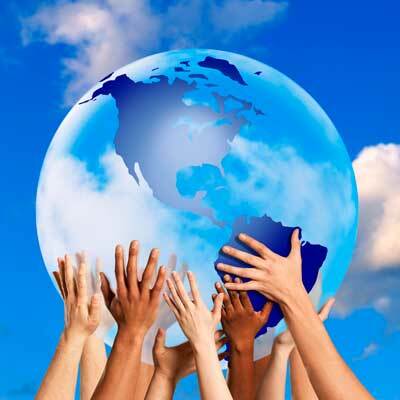 Before long you will be active on multiple platforms and helping others get started in the world of social media. So the next time your friend wants to take you to a party, just go and have fun. 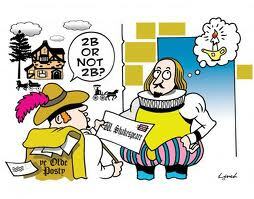 To be or not to be social – there is no question. Facebook and Twitter both have apps to be downloaded onto your smart phone or tablet, so you are never out of touch. But did you know that massage therapists who use an online booking service can generate quick sales by adding a booking link into a tweet? Pretty cool! I was a diehard pencil and paper scheduler. Clients would call and I could take an appointment anywhere, anytime…..as long as I had my calendar with me. Which wasn’t always the case. So, I was a frequent “let me call you back” kind of therapist. Let me tell you, this practice didn’t help increase my client base. Thank goodness for online scheduling systems. 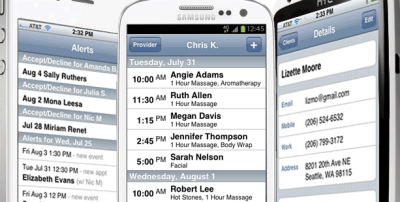 This is one of the most popular online schedulers for massage therapists and it has a nice user interface. Some notable highlights include a mobile app, nice Facebook integration, and email marketing tools. Genbook is also a very popular scheduler. It also has a good user interface and integrates well with your website. It also has a mobile-optimized management portal. Schedulista is a fairly simple but elegant online scheduler that has some nice features like customized per-service online booking options, mobile apps, and integration with Google Calendar. This one is a powerhouse. According to one user we surveyed, “it does everything!” It is a very comprehensive application that includes online booking, a CRM, eCommerce, gift certificates, marketing tools, and membership features with discount options. It’s suitable for individual massage therapists as well as larger spas. SpaBooker also has multiple pricing options for different plans. BookedIn is an interesting service because of its pricing model. It has the same general features of the other apps, but it is priced per appointment. The system charges you 35 cents for each appointment. Pretty unique! Look at them to find the one that best suits your needs, budget, level of services, etc. Also check to see if the online scheduling system has a mobile version. Mobile scheduling software applications include features to efficiently and quickly administer your appointments, schedules, staff and customers. All of your information can be access from anywhere, anytime. It’s in the cloud. Safe and secure from power outages and hackers. 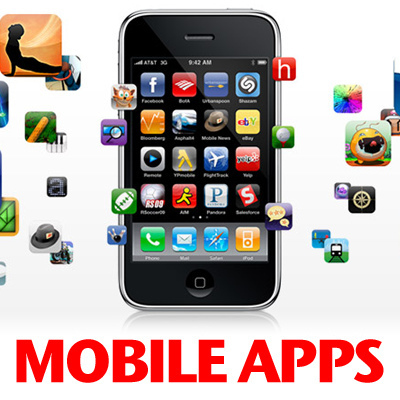 Using a mobile app can save time, increase productivity, and include some cost-reductions at the same time. Who doesn’t love saving money? These online scheduling apps are great, but how can they help you get more clients? That’s where ZEEL comes in. Zeel is a Massage On-Demand app (free) for a smart phone. Clients download the Zeel app and can book same-day, in-home massages with licensed and vetted therapists. Therapists signup and join the Zeel network of therapists. Currently Zeel is only available in NYC and Miami areas, but it is growing fast. Tip: Make it as easy and convenient as possible for your customers to get an appointment with you.